This notice applies to the information we have about you, your health, health status and, if you are a resident, the health care and services you receive from us. If you are our employee, we may maintain such information about you for purposes including, but not limited to, pre-employment physicals, disability, or requests relating to the Family and Medical Leave Act. You may request an electronic or paper copy of your medical record. You may ask us to correct your medical record. You may request confidential communications. You may ask us to limit what we use or share. You can ask for a list (accounting) of the times we've shared your health information for up to 6 years prior to the date you ask, who we shared it with, and why. You may obtain a copy of this privacy notice. You may choose someone to act for you. Sharing information with your family, close friends, or others involved in your care - - Unless you object, we may disclose to a family member, a close friend, or any other person you identify, your health information that directly relates to that person’s involvement in your health care. Unless you object, we may also disclose your health information for the purpose of notifying (including identifying or locating) family members, personal representatives, or others responsible for your care of your location, general condition, or death. You have a right to request that your health information not be shared with some or all of your family and friends. Share information in a disaster relief situation - Unless you object, we may share your health information with disaster relief organizations that seek your health information to coordinate your care, or notify family and friends of your location or condition in a disaster. Include your information in a facility resident directory - Unless you object, we may include your name, general condition, religious affiliation, and location in our facility resident directory. Your religious affiliation may be given to a member of the clergy. The directory information, except for religious affiliation, may be given to people who ask for you by name. If you are able and available to agree or object to such sharing of your health information, we will give you the opportunity to object prior to sharing it. If you are not able to tell us your preference, for example if you are unconscious, we may go ahead and share your information if we believe it is in your best interest. We may also share your information when needed to lessen a serious and imminent threat to health or safety. Most sharing of psychotherapy notes, if any. We may use a limited amount of your health information for purposes of contacting you to raise money for our facility and its operations, but you can tell us not to contact you again. Example for residents: We may need to disclose information to doctors, nurses, technicians, staff, or other personnel who are involved in taking care of you and your health. Example for employees: We may need to disclose information to a doctor who is providing ongoing care, particularly if you are receiving workers' compensation or disability benefits. We can use and share your health information to run our facility, improve your care, and contact you when necessary. This includes sharing your health information with our business associates and subcontractors, who are contracted to perform certain functions on our behalf. Business associates are required by applicable law to keep your health information confidential. Example for residents: We use and disclose health information about you to manage our treatment and services, to evaluate the performance of our staff in caring for you, and for review and learning purposes for our staff and medical and nursing students. Example for employees: We may need to disclose medical information to our business associates in order to receive information for benefit plan renewal, or to receive quotes for disability or other types of medical insurance. Example for residents: We may give information about you to your health insurance plan or other third party payer so it will pay for our services to you. Example for employees: As a self-insured organization, we may need to receive or provide medical information in order to ensure proper payment of claims. We can share health information about you in response to a court or administrative order, subpoena, warrant, summons, or similar process. We can change the terms of this notice, and the changes will apply to all information we have about you. 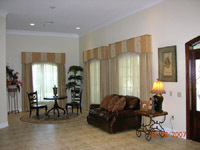 The new notice will be available upon request, in our facilities, and on our web site. 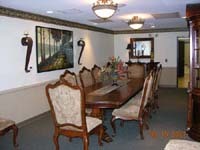 Regent Care Centers may not disclose your PHI electronically without your authorization unless allowed by law. For example, Regent may share your PHI through approved, secure electronic methods for the purpose of treatment, payment for health care services, or health care operations such as case management or care coordination. Regent may also need to share your PHI electronically for public health purposes such as preventing and controlling the spread of infectious diseases or for certain disaster relief efforts. For a complete list of reasons that Regent Care Centers is allowed by law to share your PHI, please refer to the Regent Care Center Privacy Notice at http://www.regentcare.biz/privacy_practices.html. 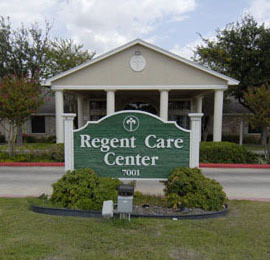 If you believe that Regent Care Centers has violated the obligations described in this notice, you have the right to file a complaint with Regent Care Centers’ Chief Compliance Officer by mail at 2302 Postoffice Street, Suite 402, Galveston, TX 77550 Attn: Chief Compliance Officer; or by telephone at (409) 763-6000. * This notice is provided pursuant to federal law and Section 181.154 of the Texas Health and Safety Code.